In retrospect, yesterday’s post was a bad idea and very out of character. I had misgivings and hesitated before posting, but I ascribed those feelings to being “brave” and maybe even a bit “edgy” with my choice of topic. Ew…and therefore…my apologies. That was not what I wanted to say, and that is not what I want this blog to be about. I’ll admit it. I got nothing done this weekend. 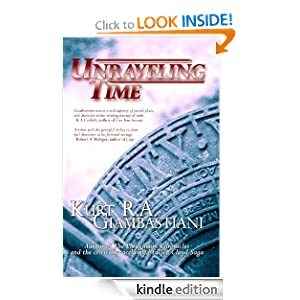 I was positively glued to my iPad, pulling up the growing stats on my promotion for Unraveling Time, watching the numbers click upward hour by hour, day by day. It was fascinating, and it totally exceeded my expectations. So, instead of something pithy and/or insightful, let’s talk about the progress so far. It’s out there. For free. Go get one! Unraveling Time is free through Tuesday! While you’re doing that, I’m going to write up a review of the book I finished yesterday.